"If you drive to the Great Smoky Mountains, you'll get some appreciation for the scale and beauty of the outdoors. But when you walk into it, you see it in a much slower, more majestic sort of way." While the Smokies can be enjoyed any time of year, early summer is a particularly nice time, as much of the park’s foliage is in bloom and it has yet to get too hot. The later summer months bring hundreds of thousands of cars and tourists – it’s the most-visited park in the United States, after all – as well as hot, humid Southern weather. Because of the daily high temperatures, you’ll want to get started with your day early to beat the heat. 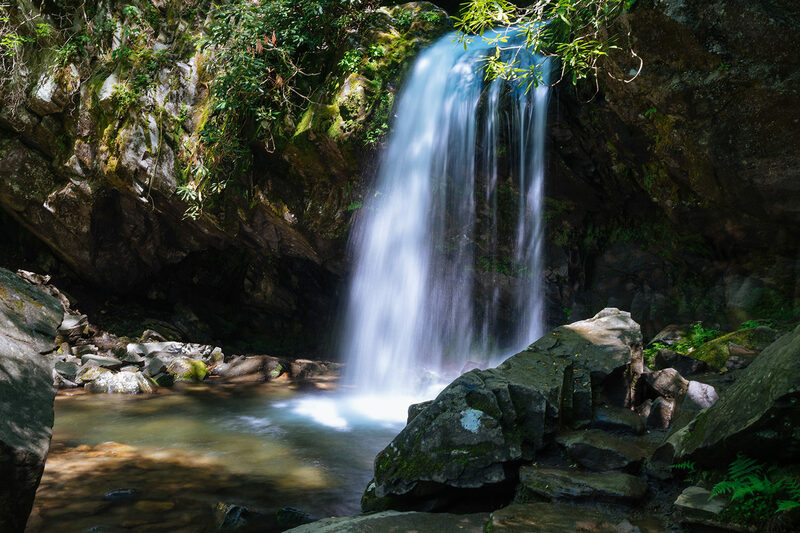 Make sure your hikes end as early as possible, and use your afternoons to find some shade and take a dip in one of the park’s many cool mountain streams. By early morning, I was already in shorts and my Huckberry Great Smoky Mountains National Park tee, although temperatures did drop a bit in the evening and at higher elevations. Pro tip #1: This time of year, the park is still transitioning from spring to summer. If you hurry, you can still catch a few wildflowers up on the ridgelines. 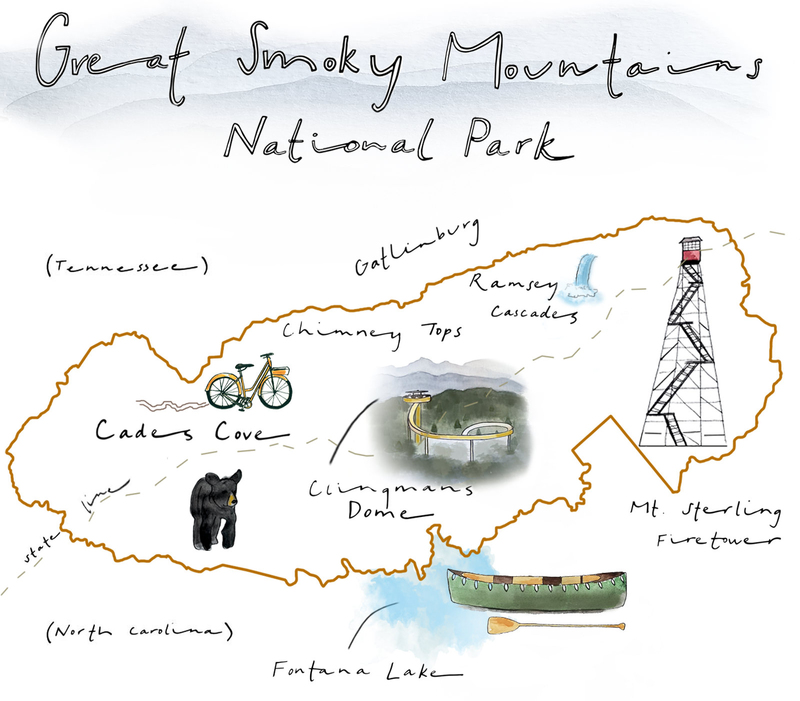 • Great Smoky Mountains National Park website. Great for finding information about campsite locations, park hours, and trail closures. If you’re looking for official information, this is the place to go. • Hiking in the Smokys . For the less-traveled spots, this is the go-to site for all information hiking related in the Smokies. Literally every hike you could consider doing is on here. What’s the best way to keep danger at bay? By being informed. The greatest risk you’ll come across in Great Smoky Mountains National Park is bears. Bear activity is extremely high in the Smokies, and biologists estimate that approximately 1500 black bears call the Smokies home. While you’re there, it’s possible that certain park locations may be closed due to high bear activity. I almost walked over a mama bear and two cubs while I was there, which certainly got my heart beating. Regardless, it’s important to remember that you cause more of a threat to the bears than they do to you. Don’t leave garbage about, and know what to do if you see a bear. • Do not approach the bear. • Do not let the bear approach you. • If the bear does approach you, make yourself appear large, yell, throw nearby objects like rock and sticks. Do not turn your back or run away. Do not leave food for the bear. • In the unlikely event that the bear attacks you, DO NOT PLAY DEAD. Fight back by any means necessary. If you want to read more, you can do so here. What should I pack for my trip to Great Smoky Mountains National Park? What you pack will largely depend on where you plan on staying. There are ample accommodations near the park – do any search of hotels in Gatlinburg and you’ll have more than your fair share to pick from, and if you’re not camping you’ll need far less gear. 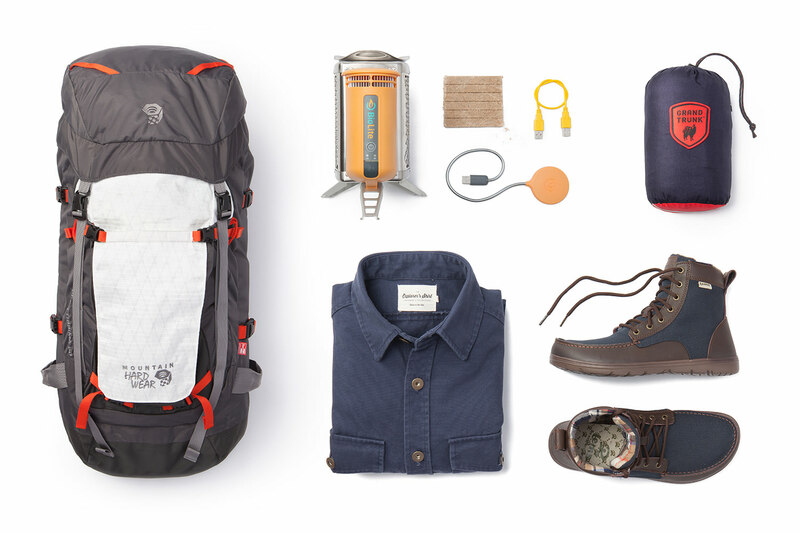 If you plan on backpacking or camping, of course you’ll need your camping essentials, but along with the basics, some important extras are a) mosquito repellent (they can get quite bad), b) sandals and a swimsuit (for exploring streams and cooling off), and c) plenty of water. It’s hot out there! Depending on the forecast, you should be prepared for either blazing hot, muggy weather, or slightly less hot weather and constant rain. The forecast for me looked iffy, so I brought the gamut. A Snow Peak 3-Layer Rain Jacket covered my bases for possible rain. My Lems Boulder Boots performed admirably, both during travel and on the trail. They might not be hiking boots, per say, but they’re some of the most comfortable shoes I’ve had the pleasure of wearing. They took all the hiking I could throw at them. It can get a bit cooler in the evenings, and my Edgevale North Coast Shirt Jacket provided just the extra layer I needed over my Huckberry Explorer's Shirt. • Biolite Camp Stove. We’ve used this stove so many times and still can’t quite believe that such a handy tool exists – using just the included tinder and small twigs you can forage from the area around you (bye-bye, fuel canisters), this camp stove cooks food and boils water incredibly fast. Bonus? It converts heat from the fire into energy to charge your devices as you chow down. Check out the handy kettle and grill attachments, or buy them all together. • Mountain Hardwear Direttissima Backpack. We’re always on the lookout for a backpack that can toe the line between durability and versatility, and this Mountain Hardwear pack hits the spot. From hauling your gear across the country in an airplane to hitting the trails in the Great Smoky Mountains backcountry, this 50-liter pack can do it all. • Grand Trunk Double Parachute Nylon Hammock. What better way is there to cool down in the Southern heat and humidity than by taking a nap in a shaded hammock? This Grand Trunk hammock is our go-to for travel – it’s easy to hang, is made of super-strong parachute nylon, and packs down to the size of a football for lightweight transport. • Huckberry Explorer’s Shirt. This classically-cut buttondown with a hearty twist (thank you, duck canvas) is a staple in our wardrobe, and not just because we made it ourselves with the help of our buddies at Taylor Stitch. Whether you’re hiking up Mt. Sterling for a sunrise at the firetower or hanging out around the campfire at Cades Cove, this is sure to become your favorite adventure shirt. • Lems Boulder Boot. We’ve been singing this boot’s praises for months, and now we have another reason to love this lightweight, ultra-packable shoe – it performs just as well on during a 12-mile day hitting the trails as it does walking through the city. • Bonus round: Oru Beach Kayak. It sounds too good to be true – a foldable, transportable, lightweight kayak that can fit easily in the back of your car? – but Oru proves that you can have your kayak and travel with it, too. Head out onto Fontana Lake for a few hours of paddling in the Oru Beach Kayak, then fold it back up, sling it over your shoulder like a backpack, and tote it easily back to camp. What activities should I plan ahead of time in Great Smoky Mountains National Park? 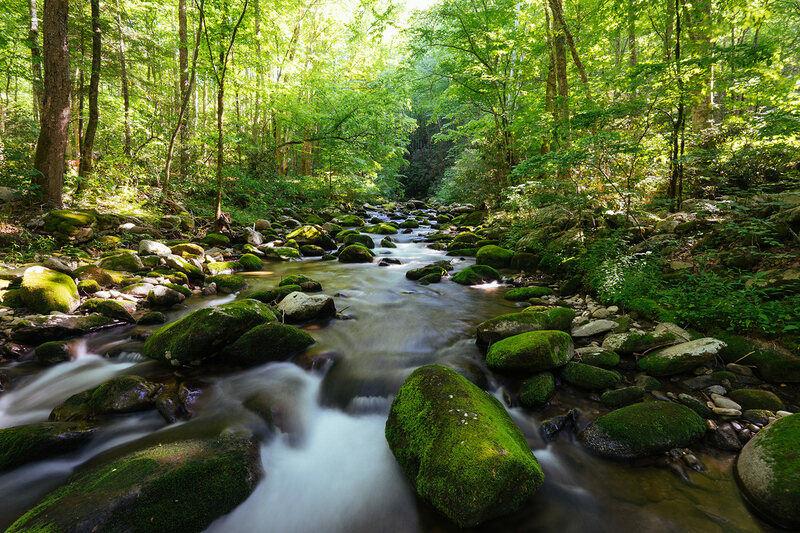 Hiking is the main activity within the park, but there are many additional options to explore through Gatlinburg tour companies, from zip lining to river rafting to mountain biking. But if you’d like to get a bird’s eye view of the Smokies, opt for one of the tour companies that offer helicopter flights around the mountains (you can’t fly over the park itself) like Smoky Mountain Helicopters. There are two main options when it comes to getting to Great Smoky Mountains National Park. Coming from the west, you’ll fly into the McGhee Tyson Airport in Knowxville, Tennessee and enter the park through Pigeon Forge and Gatlinburg. Be prepared for about a 45-minute to one-hour hour drive from the airport to the park. If you’re coming from the east, you’ll fly into the Asheville Regional Airport in North Carolina, and from there you can be in the park within an hour, depending on where your exact destination is. Where should I stay in Great Smoky Mountains National Park? There is no shortage of accomodations in, around, and near Great Smoky Mountains National Park. Because of its proximity to major metro areas, Gatlinburg is full of hundreds of motels and hotels vying for your business; still, the entire town can be completely booked in high summer, so reserve as far in advance as your plans allow. I arrived and immediately high-tailed it to the east side of the park, which I found to be much less touristy. 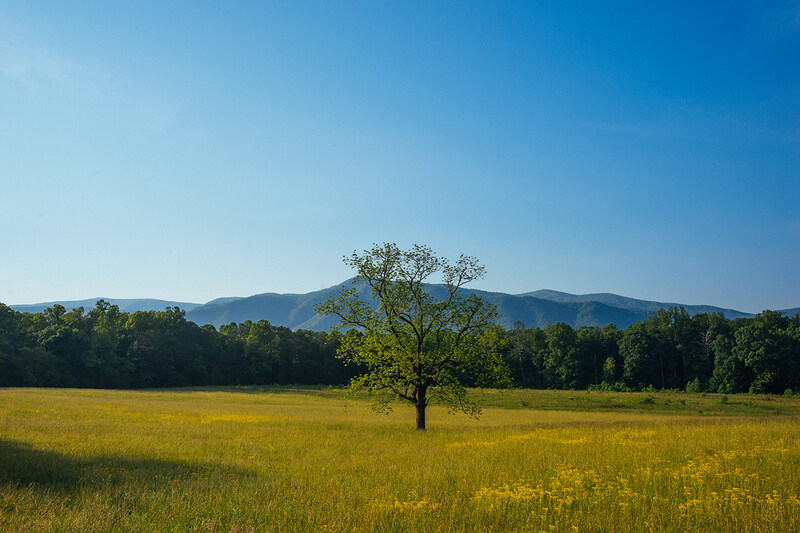 Within the park, there are several large frontcountry campgrounds – 10 all together in the front country, in fact – the most popular of which is Cades Cove. There are also a myriad of backcountry campsites, which must be reserved in advance for $4 per person per night. Be sure to book yours well in advance, as sites go quickly in the summer months. You can find more information and reserve a spot here. What’s the one shot I have to get in Great Smoky Mountains National Park? There are a few classic shots in the park. Clingmans Dome is the highest point in the park, and a short hike from the parking lot to the top of the observation tower. It’s a spectacular vista over the rolling mountains of the park at both sunrise and sunset, although I’ve been told (by a park ranger) that the sunrise is really where it’s at. I only made it there for sunset, so I’ll take his word for it. However, I personally found sunset at Chimney Tops (pictured above) to be a much more dramatic experience. 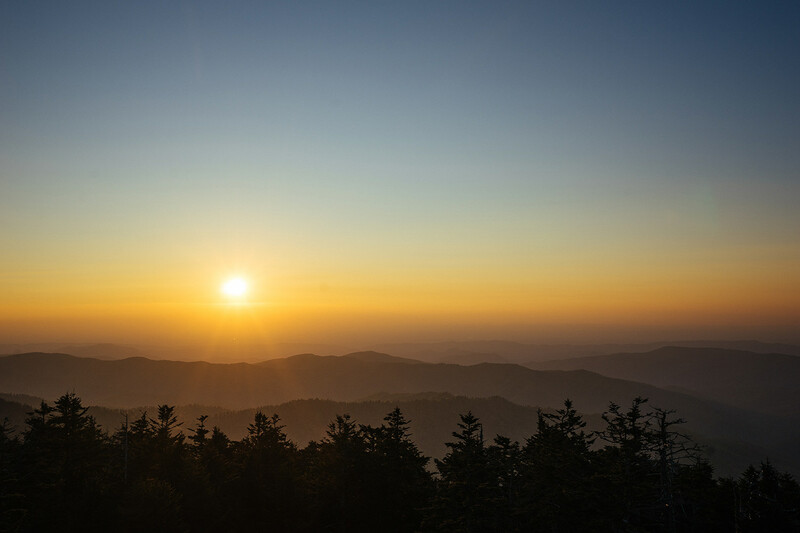 Not only is it more exciting to get to and it gets you to an equally stunning view, but you’ll be able to enjoy the sunset with likely far less people than the crowds at Clingmans. 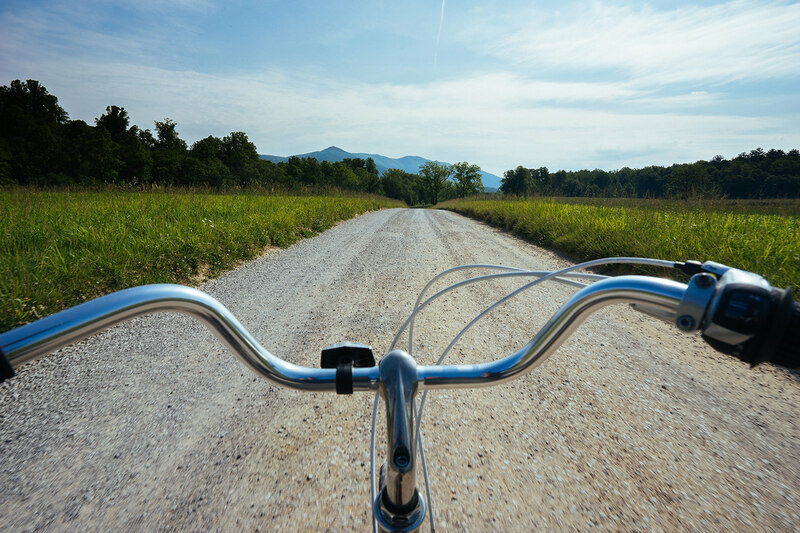 Pro tip #2: The Cades Cove scenic drive is an 11-mile loop that is one of the most popular destinations in the park. On Wednesdays and Saturdays, motorized vehicles aren’t allowed on the roads until 10:00 am, so I’d recommend bringing your own bike or stopping by the bike rental shop when it opens at 7 am (note: on non-closure days they don’t open until 9 am). You’ll be able to take your time around the loop and explore the many historic areas without worrying about a train of cars. What’s the secret shot I have to get in Great Smoky Mountains National Park? These are the ones you need to work for. 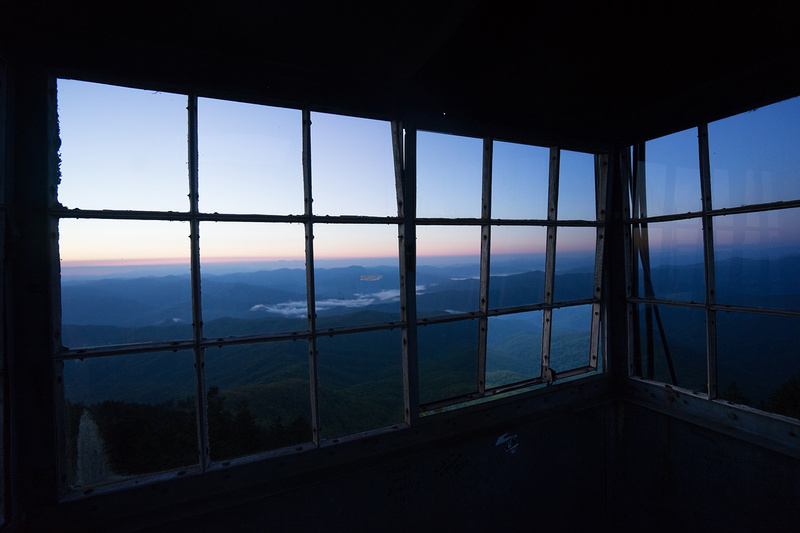 Everyone wants to get that perfect Clingmans Dome and Cades Cove shot – which are obviously worth it – but to get away from the crowds I’d suggest avoiding easily accessible spots and hitting up one of the park’s firetowers. I scrambled up Mount Sterling at 5 am to catch the sunrise over the north section of the park. The firetower at the top is a short climb up several sets of stairs and offers an incredible 360-degree view from the top. If you’re lucky, you’ll be the only person there, excepting the possibility of backcountry campers in the area – there are backcountry campsites at the base of the tower, if you want to skip the pre-dawn hike and stay the night before. Shuckstack Firetower is another worthy spot in the southern portion of the park, but it’s a slightly longer hike at eight miles round trip. 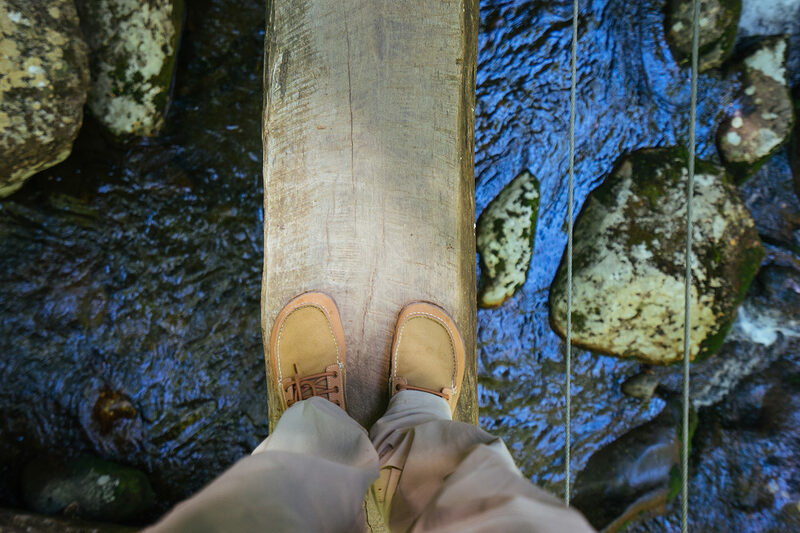 What’s the best way to get off the beaten path in Great Smoky Mountains National Park? Head to the north or south portions of the park, away from the main entrances and the hordes of tourists that linger around them. Get away from the roadside attractions around the Sugarlands Visitor Center and Highway 441. 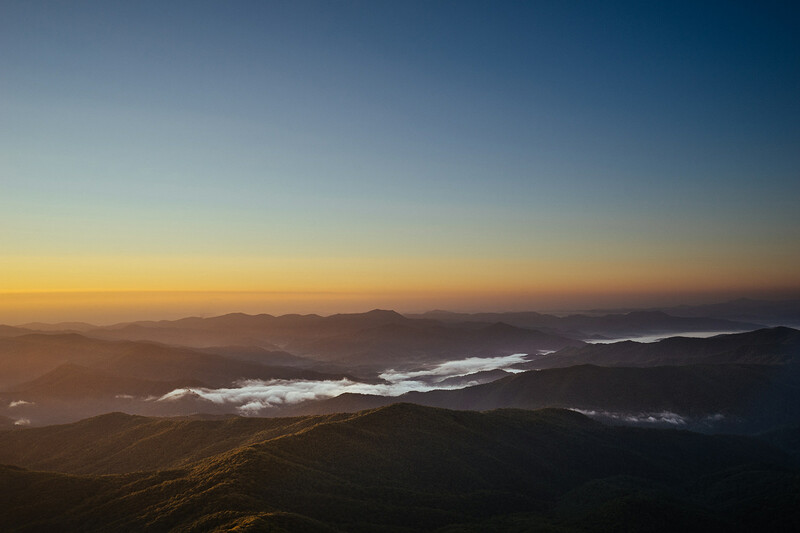 Instead, explore the Cataloochee area, or do some hiking north of Fontana Lake. I brought an Oru Kayak and headed out into the lake for a few hours from the Cable Cove boat launch, where there also happen to be some great campsites. This was my first experience with an Oru, and although it took me a sec to set up, it was an enjoyable paddle out on the lake, and a breeze to take down. Plus, it fit in the trunk of my rental car, which is pretty rad. And of course, get into the backcountry if you can. Just remember your bear canister! 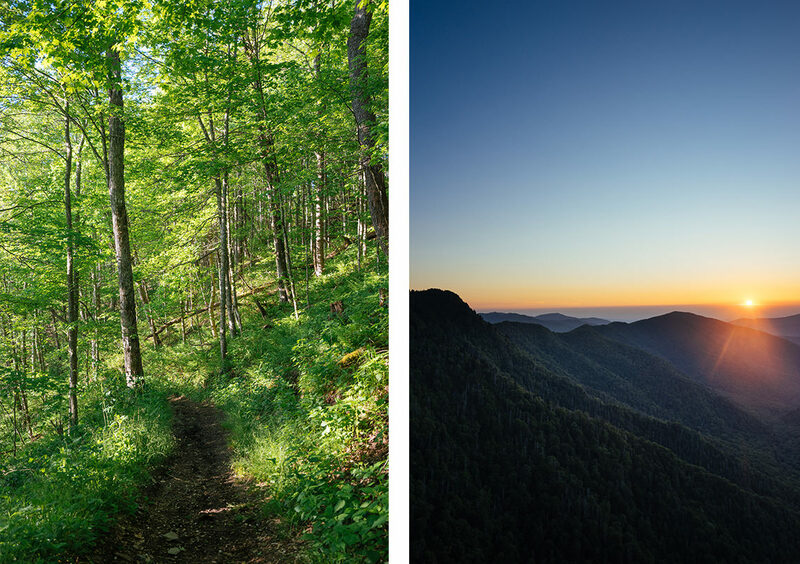 What’s the best day hike in Great Smoky Mountains National Park? If it’s views you’re looking for, I’d put a solid vote in for the Chimney Tops trail. It’s a short but steep hike up to a rocky finish with great views of the surrounding valley. The last pitch is rocky and steep, so be sure to wear shoes with good traction, and be extremely careful if it’s wet. It'll get your heart pounding, but the view from the top is worth it. If you’re more in the mood for some water, check out the Ramsey Cascades. This eight-mile roundtrip hike winds through dense old-growth forest, gaining 2200 feet in elevation to an incredible waterfall, the tallest in the park. The trail winds along and crosses the creek, and you’ll pass numerous small waterfalls, rapids, and pools along the way. What should I eat in Great Smoky Mountains National Park? There aren’t any real food facilities in the park itself, although you can find plenty to eat in nearby places like Gatlinburg, Pigeon Forge, Cherokee, and Bryson. But since you’re camping, it doesn’t matter if there’s no grocery store available to you inside Great Smoky – it’s more fun to cook your own food anyway. Early Appalachian settlers constructed many buildings within Great Smoky National Park, which is home to five historic areas and 97 heritage structures that are still standing today. The oldest of these is the John Oliver Cabin, which was built in 1882. 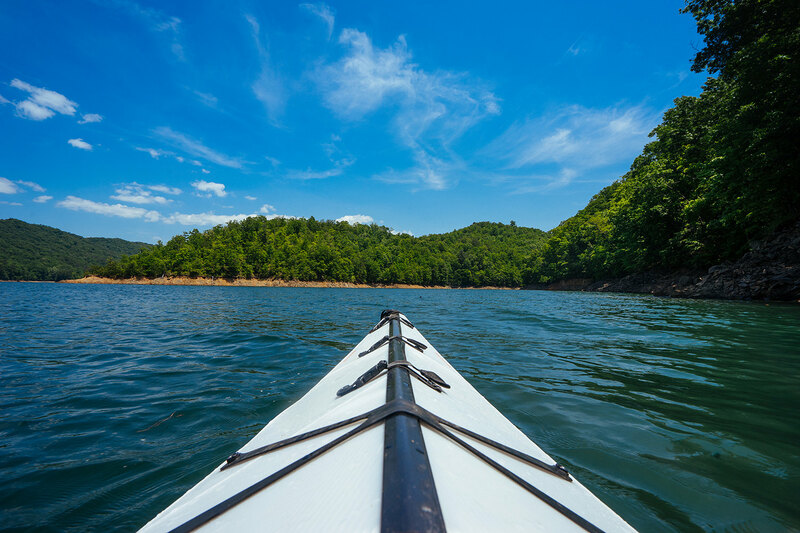 Get away from the crowds and out onto the water at Fontana Lake – the ideal spot to unfold your Oru Kayak and spend a few hours paddling around and searching for hidden inlets. And cap off (get it?) 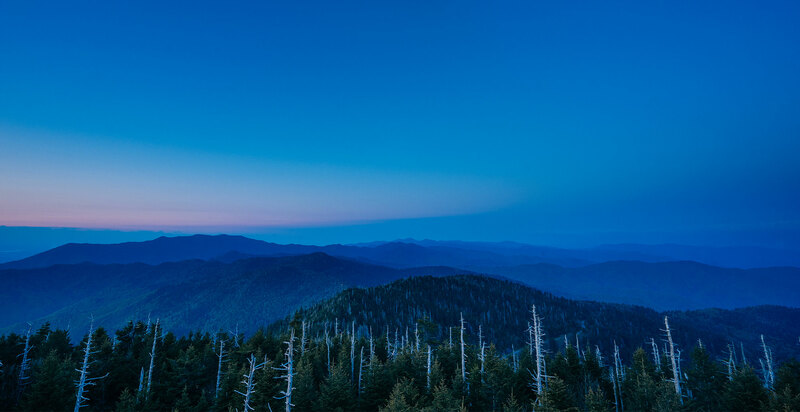 the day with sunset at Clingmans Dome, the highest point in Great Smoky Mountains National Park and an ideal spot to watch the fog roll through the park’s blue peaks. 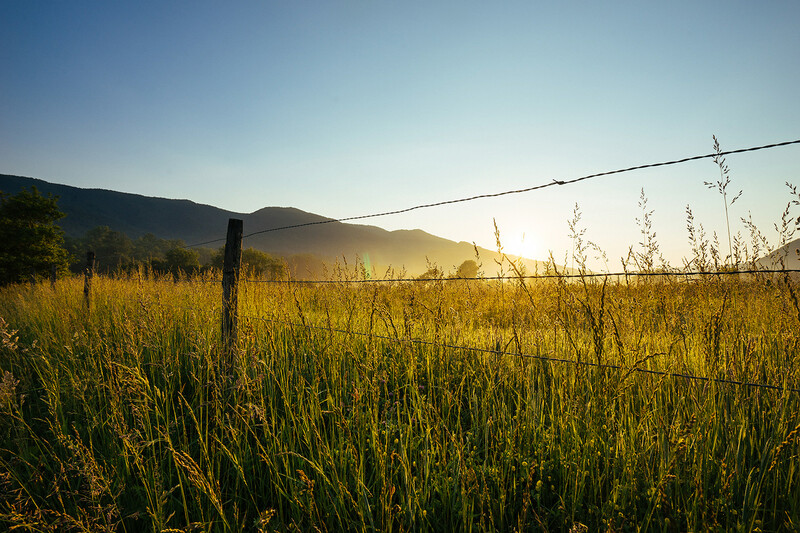 Catch the sunrise at Cades Cove, and make sure it’s on a Wednesday or a Saturday, when the scenic loop is closed to vehicle traffic until 10 am and is perfect for walking, running, or biking. In the early 1900s, George Masa emigrated from Japan to Asheville, North Carolina, and found himself working in a hotel and taking photos on the side. 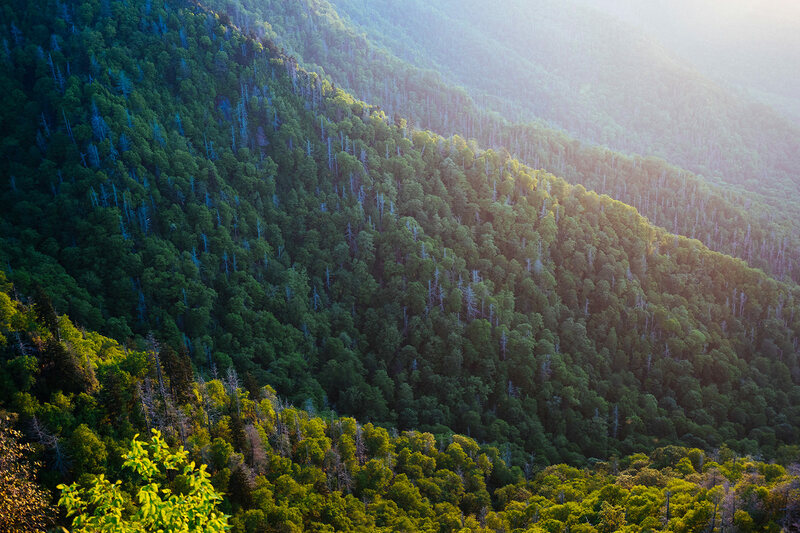 Masa’s photos were later used by the regional tourism bureau to promote the park, and he – alongside Kephart – also became one of the most outspoken leaders in turning the Great Smoky Mountains into a national park. One of the original proponents for turning these forests and mountains into a national park to prevent over-logging, Horace Kephart was also the author of Camping and Woodcraft: A Guidebook for Those Who Travel in the Wilderness, a 1910 guidebook that came to be known as the camper’s Bible. Required reading for any thru-hiking enthusiast, Bill Bryson takes on the Appalachian Trail in A Walk in the Woods – part humor, part cultural, environmental, and historical study, and entirely relatable to anyone who’s ever headed into the backcountry with an underprepared and out-of-shape friend. 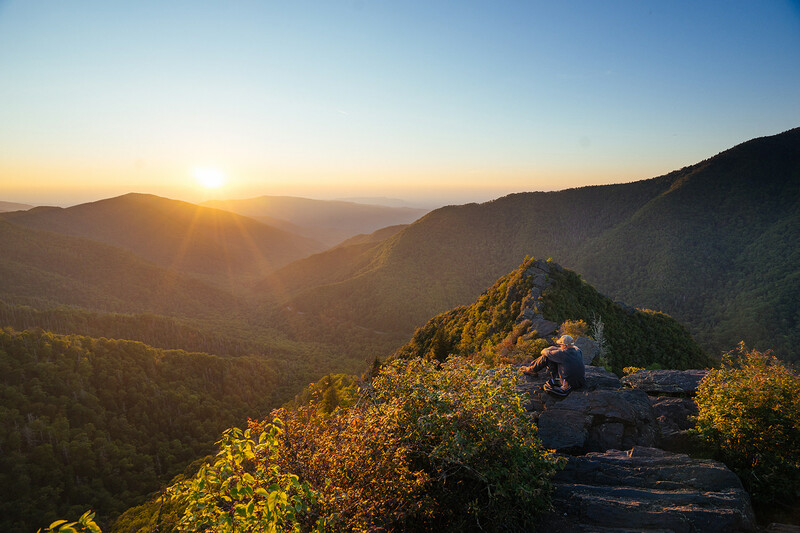 Kick off your planning by following along on the Great Smoky Mountain National Park Instagram, where rangers and land managers share inspiring pics, historical images, and event updates. Pro tip: there are more than 850 miles of backcountry trails and 100 backcountry campsites within the park, including a few prime spots at the base of the Mt. 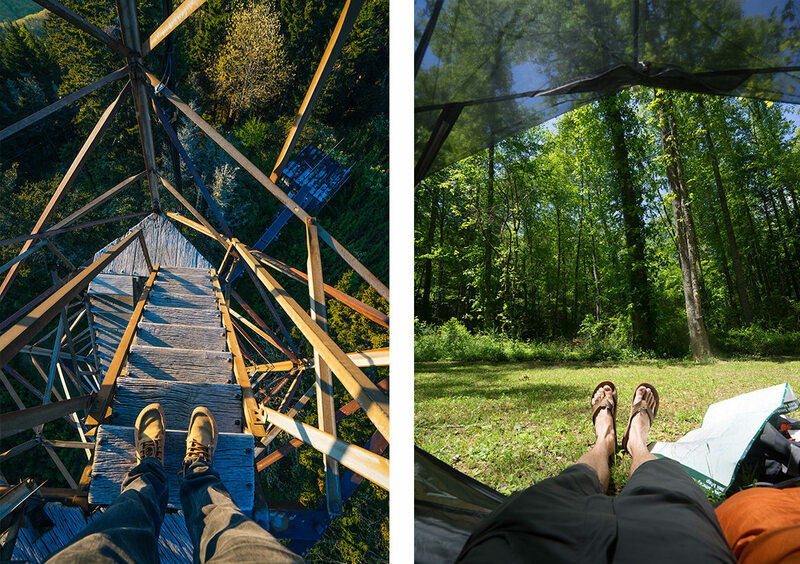 Sterling firetower – an ideal vantage point to catch the sunrise.